Do you put the tweezers back in place after using them? How about the nail rasp? You probably leave them on the sofa, on the table, etc. In order to get a better idea of what cosmetic tools and products you have, you are supposed to include yet another task in your weekly cleaning and tidying up. You have to walk around the house and pick up all beauty products you find. When you have piled all products you have, it is time to go through them one by one and check for expiration dates. Needless to say, those that have expired have to be thrown out. It would be nice if you take your expired products to a place where they can be disposed in an environmentally-friendly manner. You will inevitably come across products that have not expired yet, but you don't even remember when you bought them. The best way to decide whether you need that product or not is to ask yourself when was the last time you used it. If you really like that product and you have just forgotten it at the bottom of the cosmetics bag, then, it's time to start using it again. If you don't intend to use it, it's time to toss it. Another trick recommended by CarpetCleaner Notting Hill that would help you make an evaluation of the beauty products you have requires you to ask yourself will you use it again anytime soon. For example, if you have a suntan lotion that has not expired yet, the most sensible thing you can do is to use it again the next summer. All too often we buy body lotions and face creams that cause skin irritations or rashes. As a result, we discontinue using it. If you think that throwing it away would be a waste of money, you can just give it to someone who would be happy to have it. 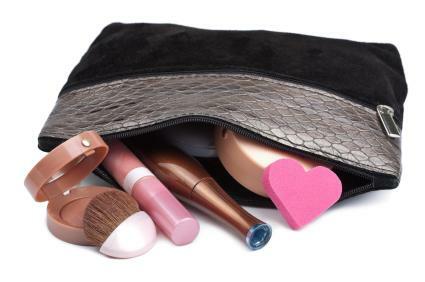 The most important thing is to declutter your cosmetic bag and get rid of the stuff you do not use. Unsuccessful purchases of cosmetic products do not necessarily mean a waste of money. In some cases, you can remedy the situation on your own. For example, if you have foundation that does not match your skin colour, you can alter it by mixing concealer and the mismatched foundation. In order to save yourself the thorough clean up of beauty products, you'd better entirely use the one you already have before purchasing a new one instead of buying multiple bottles and end up using just one of them. Last but not least, don't forget to keep your beauty products pretty. Regular cleaning and disinfection of the tools you use is mandatory if you want to avoid infections and have a glowing skin.